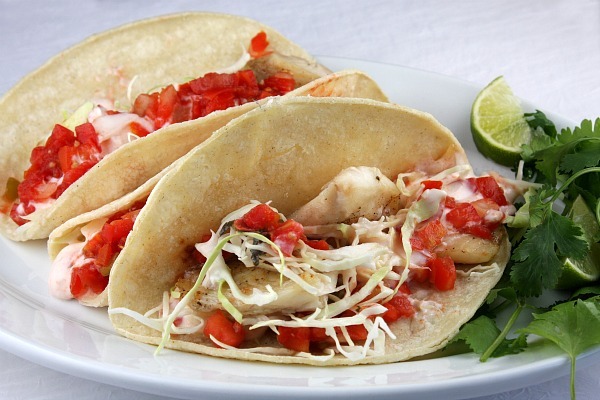 With Cinco de Mayo coming up, one of my favorite treats to have around this time are fish tacos. Yum! This Tasty Thursdays, is a recipe from RecipeGirl. The following recipe serves 10. What are your favorite Cinco de Mayo dishes? These sound fantastic! I love fish tacos. I eat a lot of chicken and beef tacos (because that's what Chipotle offers) but fish would be really great and a heck of a lot healthier. It's only 10.44h in the morning here in the Netherlands but now I want to eat tacos! These look delicious! I love fish tacos!